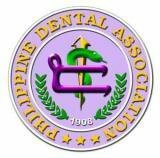 The Philippine Dental Association (PDA) has approximately 15,000 members practicing dentistry. Imagine 15,000 dentists each having their own method of instrument sterilization, their own oral surgical procedures, their own strategies on infection control in the workplace. The absence of local infection control guidelines has long been noticed by the dental community, and I am pleased that this year, the PDA has fulfilled this need. The seal of the PDA is not an unfamiliar symbol to our local dentists. It consists of a pair of blossoming sampaguita sprigs surrounding the “Da,” the ancient Filipino symbol for the letter D. Central to the seal is a lone snake twisted around a golden staff—an ancient symbol called the Rod of Asclepius. Often mistaken for a caduceus (two serpents entwined around a winged staff ), the rod is associated with healing because Asclepius was a practitioner of medicine in ancient Greek mythology. Although usually depicted as a rod or staff, a closer look at the seal of the PDA reveals that the rod is actually an arrow. Indeed, the PDA is truly moving upwards. With the identification of the A(H1N1) virus and the continued spread of many other communicable diseases, it is only relevant that the PDA rises to meet global standards through the infection control protocol. May this endeavor continue to inspire dentists to place a premium on infection control in the workplace. Simple practices that we may take for granted, such as rinsing before a procedure, can go a long way. Together with the PDA, let us all strive to reach greater heights. No portion of this handbook can be reproduced without permission from the Philippine Dental Association. Any violation is punishable by law.